Highly Upgraded 2 Bed/2.5 Bath, 1,208 sq.ft. Home Has Tuscan Travertine Stone & High End Cherry Hardwood Flooring, Custom Stone Travertine Fireplace, Gourmet Kitchen Features Granite Counter Tops, Designer Backsplash, LG Appliances, Stainless Steel Appliances & Custom Cherrywood Cabinetry. Both Master & 2nd Bedroom have private Full Bathrooms w/ Designer Tile Flooring. Attached 2 Car Garage. 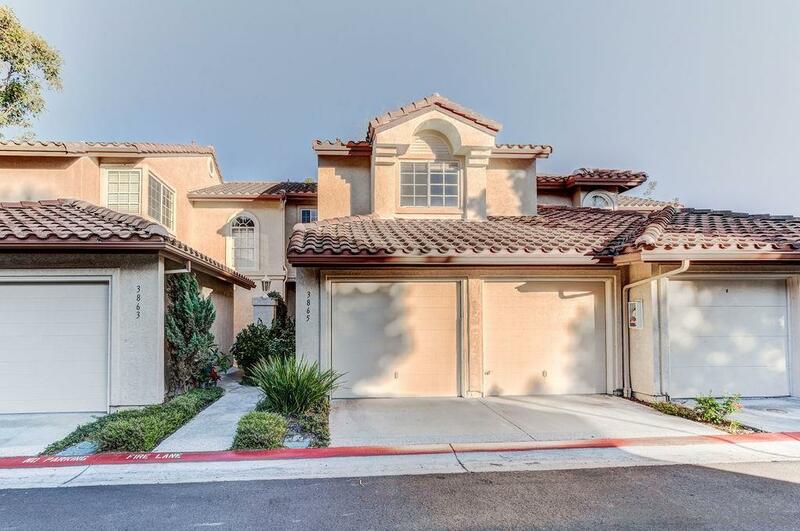 Desirable Pacifica Community w/ Pool, Spa & Tennis Courts. Close to all Del Mar has to offer & Much More!, Located A Short Distance To Del Mar Beach, Del Mar Racetrack, Fabulous Restaurants, The New Up & Coming One Paseo & Is An Easy Commute To The 5, 805 & 56. This Stunning Turn Key Home Is Located In The Highly Coveted Pacifica Del Mar Highlands Community Which Amenities Include Heated Pool, Spa & Tennis Courts! This Beautifully Upgraded 2 Bedroom, 2.5 Bathroom, 1,208 Sq. Ft. Home Has Tuscan Travertine Natural Stone Flooring Throughout The Living Room, Entryway, Dining, Entry Bath & Kitchen. The Expansive Living Room Has A Custom Flagstone Stacked Fireplace, New Paint & Lighting Throughout. The Gourmet Kitchen Features Granite Counter Tops, Designer Backsplash, Stainless-Steel Appliances, LG Appliances, All Custom Cherrywood Cabinetry & Recessed Lighting Creating A Luxurious Feel. Smooth High-End Cherry Hardwood Floors Throughout The Home. The Master Bedroom Has a Spacious Layout w/ A Walk-in Closet. The Second Bedroom Is A Comfortable Size. Both Bedrooms Have Private Full Bathrooms Attached With Designer Tile Flooring & Beautiful Vanities. The Laundry Is Located In the Private Attached 2 Car Garage. The Tranquil Patio Great For Entertaining. This Is A Must See!